This outreach began in 2004! 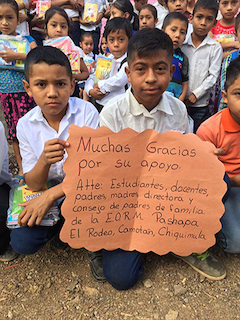 In 2019 we were able to cover 56 schools and give out a total of 6,329 school packs; including our Embrace children who do not attend one of our sponsored schools. This involved many trips over very rough terrain in the back end of 4x4 pickup trucks; in order to put these supplies in the hands of the children who were eagerly waiting to receive them. Different schools showed their appreciation in different ways; that included making thank you cards and posters, doing oral presentations for the team and heart felt words from so many. 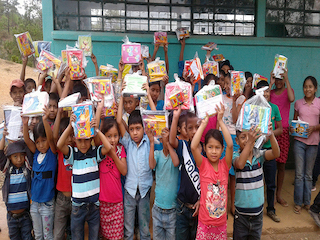 We have been doing this outreach for 15 years now and continue to see the growing need to provide these simple school supplies to the children; to allow them to do their class time work. 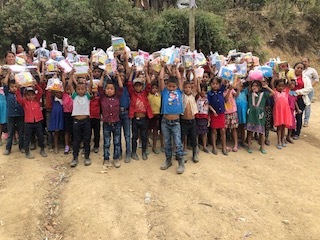 This project takes a lot of time, finances, donations and participation to make it successful but we are happy for another year to be able to reach out to these precious children in the remote rugged mountains of eastern Guatemala and to make a difference in their lives! 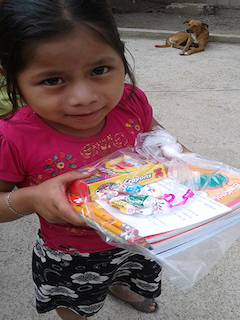 Being able to look into the children’s eyes, as they receive their school packs, is so rewarding! 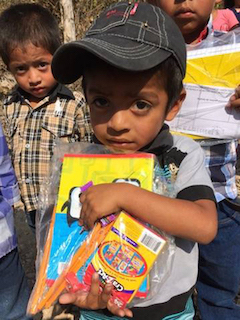 We continue to look for people who want to donate towards the many supplies that are purchased in Guatemala, help to donate the supplies that are better purchased in the US, people to come put the packs together and others to come and actually distribute the supplies to the children. There are many more children waiting and many other schools that have asked to be included. We will reach out to just as many as we are able to; please let us know how you want to get involved and help us to continue to make this outreach a success!